ИВ РАН В.Н. Настич и его австрийский коллега В. Шустер. библиографический список и резюме на рус. яз. 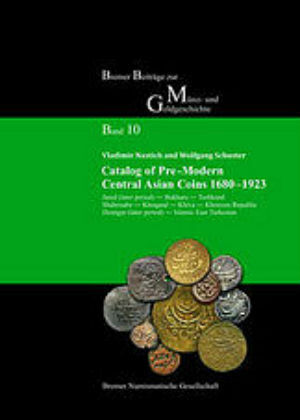 On more than 300 pages with 820 illustrations, the new catalog embraces all coin issues of Bukhara, Tashkand, Shahrisabz, Khoqand, Khiva, Khorezm Republic between the later Janid period (since 1680 CE) and the establishment of Soviet power in the region (1923 CE). Coinage of Islamic East Turkestan is represented from the Dzungar Khanate till the final Qing reconquest.